Who will finance Iran’s €40bn of deals with Europe? Iranian President Hassan Rouhani’s four-day visit to Italy and France last week resulted in the signing of €40bn of trade deals, but it remains unclear how that money will be transferred between the countries. Among the biggest deals signed by Rouhani are a €22bn order for 118 commercial passenger planes from Airbus, including 12 A380s; a €5.7bn contract with Italian metals industry firm Danieli for the supply of heavy machinery to Iran, a €3.5bn agreement for Italian oil and gas contractor Saipem to renovate Pars Shiraz and Tabriz oil refineries; and a €400mn joint venture between Peugeot and Iran’s Khodro to modernise a car factory near Tehran. Total also reportedly agreed to buy as many as 200,000 barrels of crude oil per day from Iran, though it is not clear when the purchases will start. Additionally, Aéroports de Paris, Bouygues and Vinci are said to have signed contracts to upgrade airports in Tehran and Mashhad. The firms are the first ones to sign binding contracts with Iran since the lifting of nuclear-related sanctions on January 16, 2016, but financial channels of the scale to handle such contracts have yet to be re-established, GTR learns from sources familiar with the country. 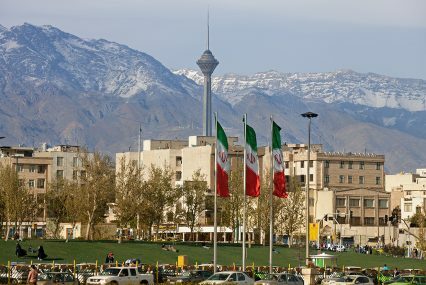 For now, small regional banks in Germany, the Netherlands and Italy have reopened letter of credit business with non-designated Iranian banks, but none of the large banks that usually support companies like Airbus have even expressed an opinion on Iran for fear of damaging their US interests or getting fined by US regulators. The reopening of export credit agencies’ coverage for Iran might help with the issue, with Coface rumoured to be working on a memorandum of understanding (MoU) with Iran, and Sace due to recover €564mn of assets frozen in the country after signing an agreement with Rouhani last week – though, once again, no one at Sace was able to tell GTR how the money would be transferred. Still, progress has been made and people close to the matter expect channels to be gradually re-established, though it is difficult to say when. The number of MoUs signed by European ECAs with Iran will undeniably put exporters in a better position than their American counterparts, and with both ECAs and corporates pressing banks to support trade with Iran, it is hoped a change will happen soon. The importance of ECA support will be particularly apparent in the aviation space: Iran Air is said to need as many as 500 new planes to renew its fleet. Airbus has already signed a contract, and Boeing is reportedly also in discussions with the airline, as aircraft and aviation equipment are some of the exceptions from the US trade embargo that remains in place. But in an interview with GTR this week, Fred Hochberg, chairman of the US Export-Import Bank (US Exim, a long-time Boeing supporter), said the bank “[would] not be doing any business there”, effectively putting Airbus at an advantage against its American competitor. “Iran is still closed to US companies. President Obama has made enormous progress but in terms of trade, it’s still closed. I don’t know what the future is but they’re still registered as state-sponsored terrorism,” Hochberg added. Iran also signed a number of deals with China at the end of January.